Welcome to 2019 and our second year as Catherine McAuley College. On the first day of school, our students walked through the doors of the newly-completed Sister Aloysius Martyn Arts Centre. Named in honour of the pioneering Mercy Sisters who came to Bendigo in 1876, the learning spaces in this contemporary facility are designed to enhance our students’ skills and educational pathways, today and into the future. Catherine McAuley founded the Sisters of Mercy and was committed to education and serving the poor. Her teaching reflected her faith in God and belief in the Gospel. Students at Catherine McAuley College are encouraged to be lifelong learners, impelled to thrive and serve in a supportive environment. Catherine McAuley College has been woven into the fabric of Bendigo since 1876 when Sister Aloysius Martyn and the Sisters of Mercy first arrived in Sandhurst from Ireland. 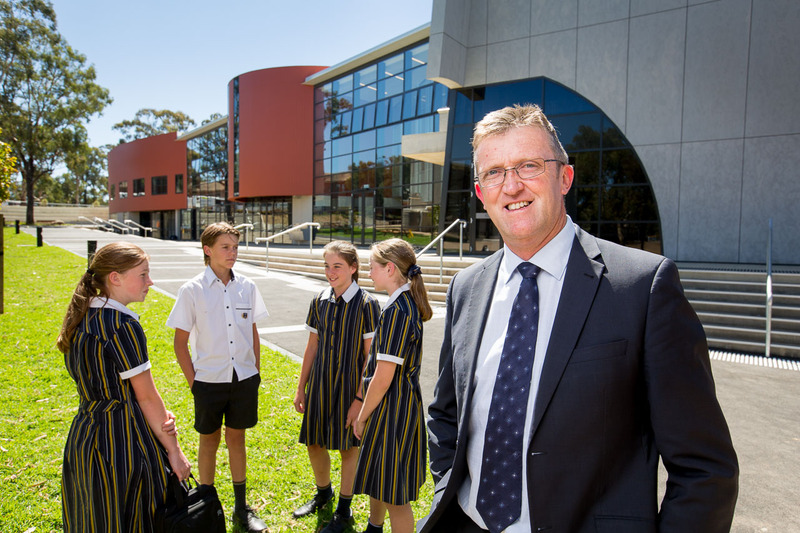 With over 140 years of heritage and tradition to draw upon and inspired by the pioneering spirit of our founders, we are committed to continuing their legacy of service, offering an outstanding Catholic education to the families of Central Victoria. We are dedicated to developing students who are critical and creative thinkers, with the skills to be self-motivated in the pursuit of knowledge. Our students are empowered to see themselves as positive agents of change, who are called to participate actively and ethically in society as young men and women of Mercy. Learning settings and programs at Catherine McAuley College are innovative, stimulating and inclusive. The new Sister Aloysius Martyn Arts Centre at the Coolock Campus together with Allied Health, Food Technology and canteen facilities at the St Mary’s Campus reflect the contemporary spaces that are evolving from our master plan. They are complemented by an integrated approach to learning that engages and challenges our students to discover and live their dreams. Established partnerships with Mercy Health, Australian Catholic University, Cricket Australia and the City of Greater Bendigo will provide outstanding learning opportunities and facilities for our students and the community in the next twelve months. The relationships that our students form through the curricular and co-curricular programs benefit them well beyond their time at school.